* The feature listed here are for the software only. 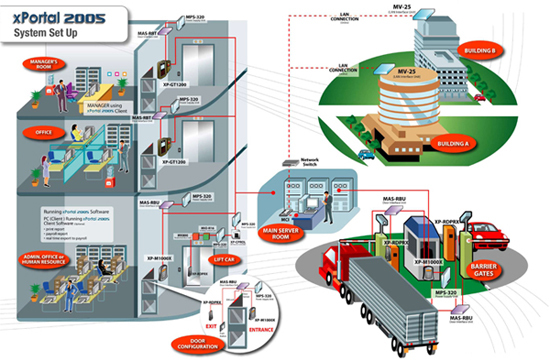 It depends on the choice of the hardware system such as controller, I/O board, readers and computer system for it to work. Kindly contact our representatives for further clarifications. 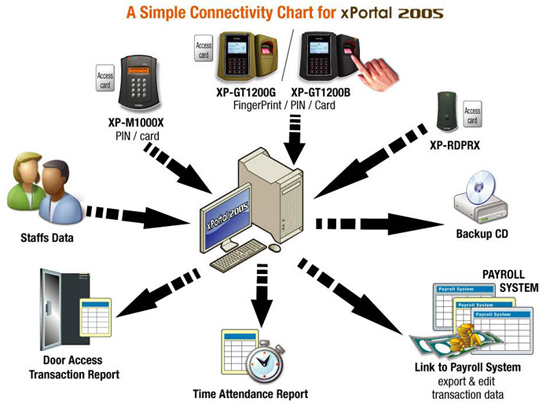 xPortal2005 Client/Server software main signal converter unit. Max. 3 clients Max 128 doors Max. 8 converter units per software. (Control up to 16 units of XP-M1000 or XP-M1000X or XP-GT1200 or XP-GTR1200 or XP-CPRO controllers/converter). 2. I have installed xPortal2005 software, but how do I configure the software?